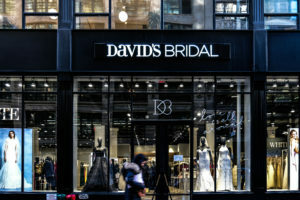 David’s Bridal is filing for bankruptcy protection but there is no danger for customers who have ordered dresses because operations continuing as normal while the wedding and prom retailer restructures. The 300-plus stores run by the Conshokocken, Pennsylvania, company will continue to operate and online sales will continue unimpeded. Did Facebook merely ‘deflect’ after realizing Russian disinformation?